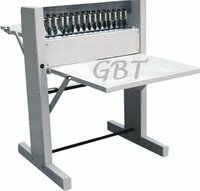 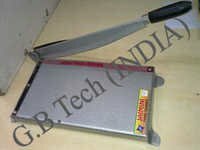 We offer best-in-class range of Paper Cutter Electric & Manual for simple and smoother paper cutting. 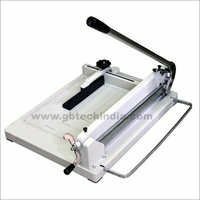 Our Electric Paper Cutter is used a lot in homes & offices for its efficient working and easy operating. Also, it is less power consuming and can work for longer hours constantly. 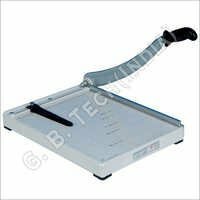 We are a prompt Supplier in the market for Manual Paper Cutter. 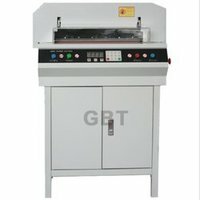 With our quality-conscious approaches, we offer the best of cutting technology to the industry. 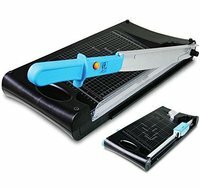 Our Paper Cutter range also includes Electric Rim Cutter, which is based on modern technology and forward innovations. 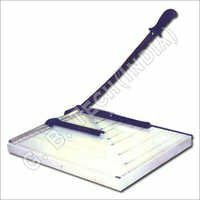 Our offered Manual Paper Cutter is precisely matches the requirements of the customers, as it is assured with utmost quality. 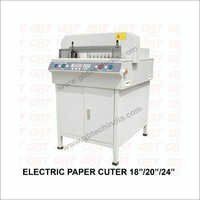 Further, the Electric Paper Cutter we offer is widely acclaimed in the market for its optimized design and excellent operations.